He asked, and you said yes! Once you've had time to scream, cry, laugh, hug, kiss, or whatever reaction came naturally to you, it's time to start some wedding planning. There is a lot involved with that, and it can be hard to know where you should start. WhereBridesGo.com knows of 9 things that you should take care of first. After tackling these tasks, you'll be ready to handle everything that comes next. #1 - Enjoy the Moment! First and foremost, take some private time to keep this special moment just for the two of you. Unless, of course, he asked in front of all of your family and friends. In that case, you've already got items #1 & #2 taken care of. If he did ask you privately, really take this moment in time to dream about the amazing future you are about to begin together. It's up to you whether you take an hour, a day, or longer if you can keep a happy secret that long! Don't go blasting the news on social media right away. You should let the people that are nearest and dearest to you in on the surprise first. Tell them in person if you can, or set up a video chat to break the news. If you aren't able to do either of those, a phone call works just as well. As soon as your immediate family and friends know your secret, go ahead and share it with the world. Your finger donning that gorgeous new engagement ring will be the center of attention while everyone is finding out about the great news. A good manicure will make sure that no focus is taken from your ring by sad nails. Heaven forbid anything happen to your new ring, but it's always better to be safe than sorry. If a stone becomes loose or the ring somehow gets misplaced, you will be very happy that you thought ahead to get insurance. The jewelry store where the ring was purchased may appraise it for free, which must be done before it can be insured. We highly suggest hiring a wedding coordinator to guide you through all of the things that need to be done before the wedding, as well as take care of all of the wedding day details so you can relax and simply enjoy. If you cannot find it in your budget to hire someone, then come up with a good organization system to keep everything running smoothly. 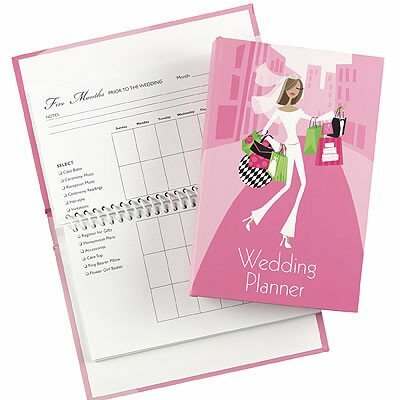 WhereBridesGo.com has two adorable wedding planners for sale that will keep your contact information, appointments, and more all in one place. The final list will very likely go through a few adjustments over the next couple of months, but having a general idea of the number of people that you will be inviting will be important when deciding on a budget and picking the wedding venue. Discuss how much you are comfortable spending on the wedding and vow to stick to that budget. Odds and ends can start adding up quickly during wedding planning, and you don't want to ruin the memory of your special day with tons of bills due once it is over. Decide what the most important wedding items are to you - food, music, entertainment, etc... - and use your money for those. If it's not that important to you, you don't need to be wasting your budgeted money on it. #8 - What's More Important - Venue or Date? One of these can greatly affect the other. If you have had your heart set on a specific wedding venue, then your wedding date will need to be one that they have available. On the other hand, if a particular date is important to you to get married on, then this will immediately knock some venues off of your list if they are booked. It's good to get these done early if possible. First of all, it's great to get it marked off of your to-do list. Secondly, as soon as you have the photos, you can start using them for fun wedding stuff, like the wedding website, engagement announcements, or save-the-dates. Do wait until you have chosen a wedding photographer, though, because many of them have packages that include the engagement photos. Once you've taken care of those tasks, it's time to really get down to business and tackle the "big" list. Still, just getting those first 9 out of the way will make you feel great. WhereBridesGo.com com is an excellent resource for much of what you will need for your wedding. When you are ready to look for local vendors, check out our Wedding Portals to see if we have one near you. There you will find tips, checklists, ideas, and contact information for wedding vendors in your area. As we often say, we're "Where Brides Go for What Brides Love!"